2019 Budget Planner Daily Weekly & Monthly Expense Tracker Monthly Bill OrganizerThis 2019 Daily Weekly & Monthly Bill Planner and Organizer is perfect for tracking your bills and plan for your expenses. It contains lots of notes area for recording your daily weekly and monthly e... read full description below. 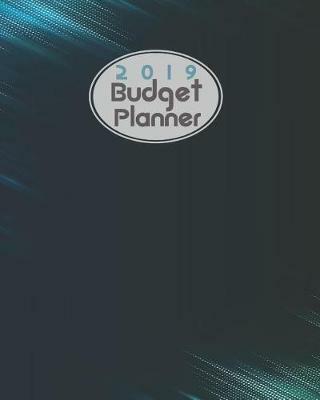 2019 Budget Planner Daily Weekly & Monthly Expense Tracker Monthly Bill OrganizerThis 2019 Daily Weekly & Monthly Bill Planner and Organizer is perfect for tracking your bills and plan for your expenses. It contains lots of notes area for recording your daily weekly and monthly expense, tracking and organize your bills, and you can set your goals in each month. It is a perfect book for family budgeting planner and persona financial planner workbook, Bill Organizer TrackerSpecifications: - Including 2019 Calendar (January 2019 - December 2019)- Monthly Budget Planner- Daily and Weekly Expense Tracker- Setting Your Goals in Each Month - Lots of Notes Area for Recording- 8 x 10 inches 174 Pages- Matte cover laminationThe best budgeting planner, personal financial Planner Workbook, bill organizer tracker journal for you and friends. Grasp your copy today!